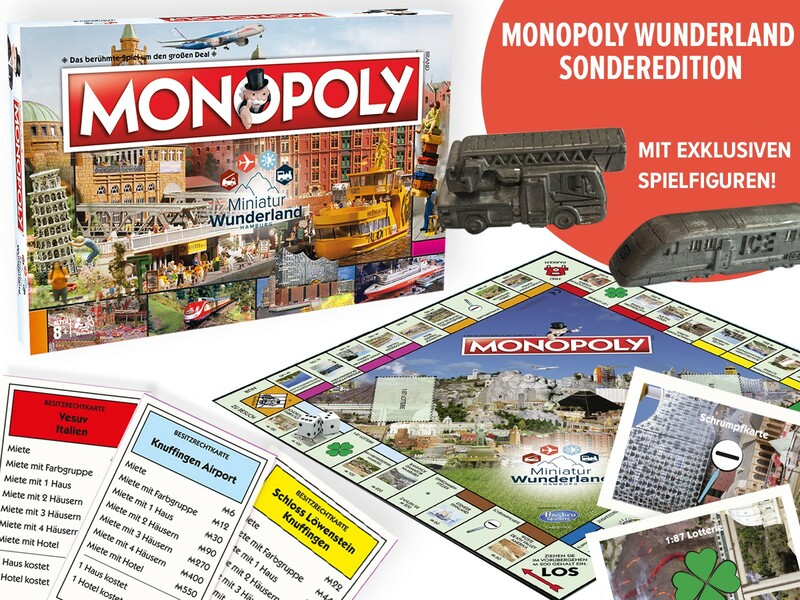 This Monopoly Edition is in German language only! 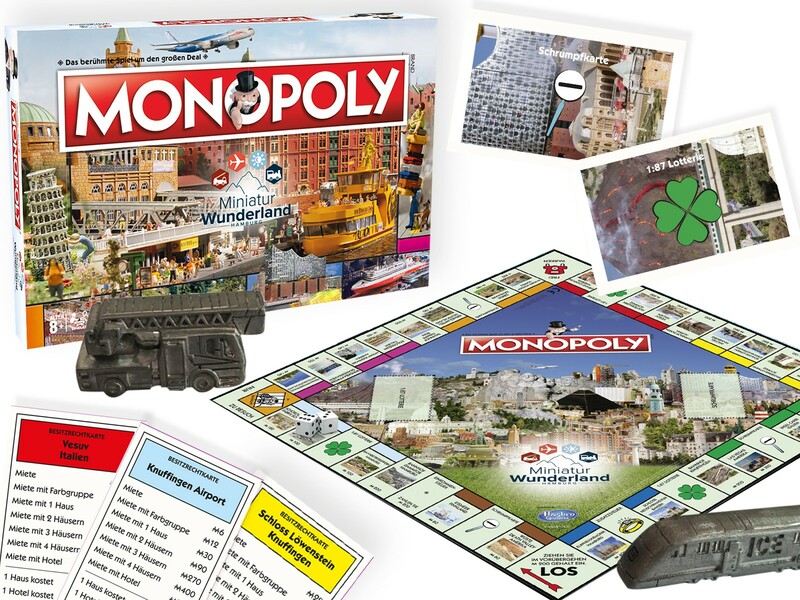 World’s largest Model Railway meets one of the World’s most successful board games. 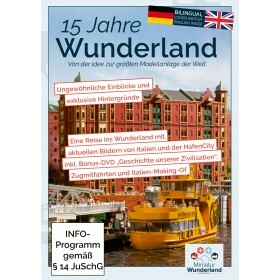 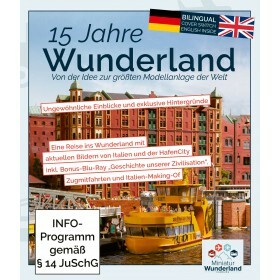 Set off onto an exciting journey throughout all sections of Miniatur Wunderland. 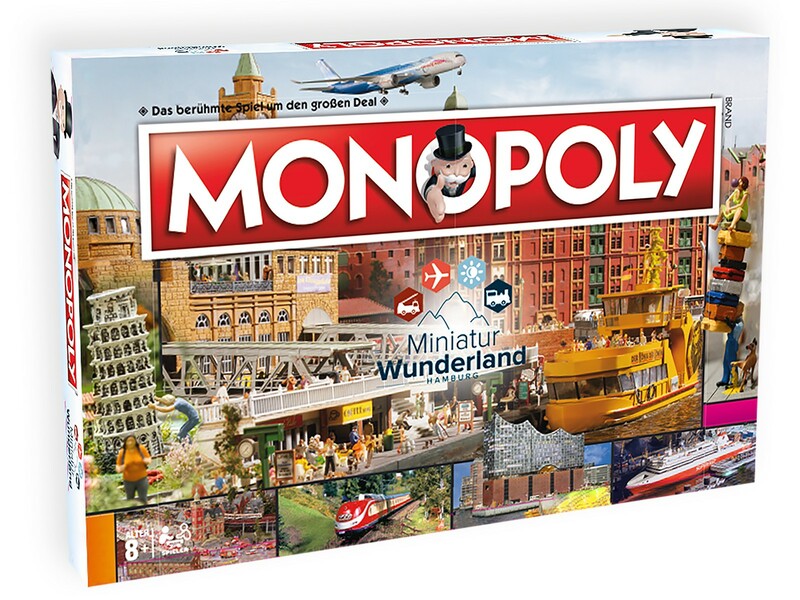 From Death Valley across Knuffingen Airport to the miniature Elbphilharmonie – buy your favorite attractions, rent them to your fellow players and go onto a fascinating discovery tour with the Miniatur Wunderland special edition of MONOPOLY. 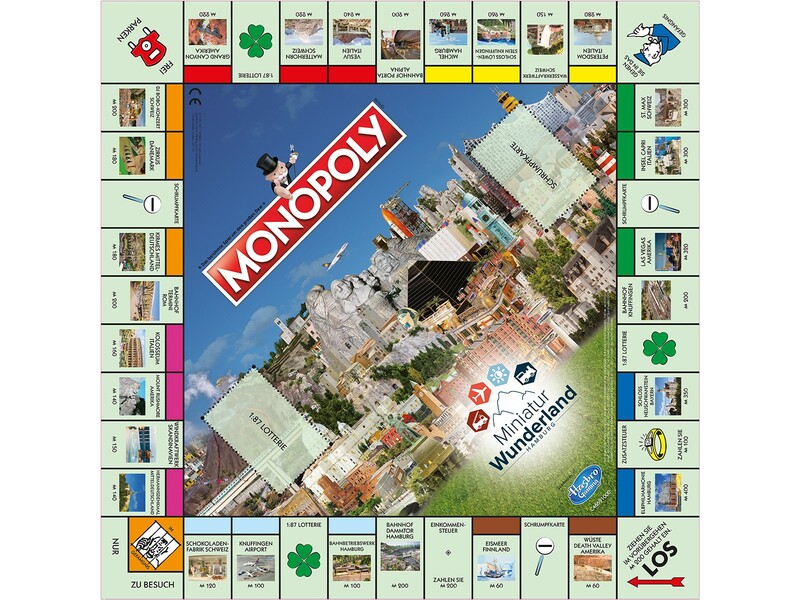 Fulfill Wunderland-specific duties with the “chance” cards and “community chest” cards, and move across the board with tokens which were specially designed for this edition. 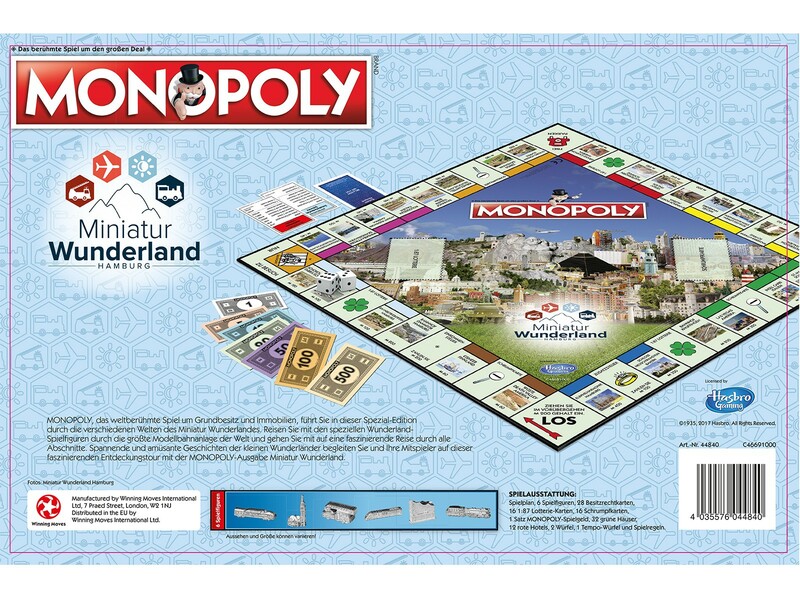 Includes six special edition game tokens!